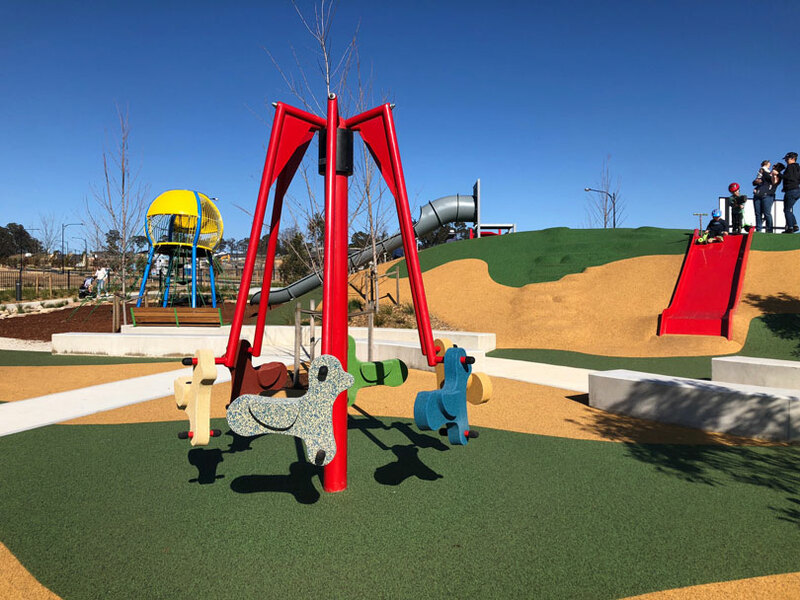 With 3 new playgrounds opened within the last year and families moving in, The Gables, a masterplanned development in Box Hill is starting to come to life! The playgrounds are fresh, clean and NEW! 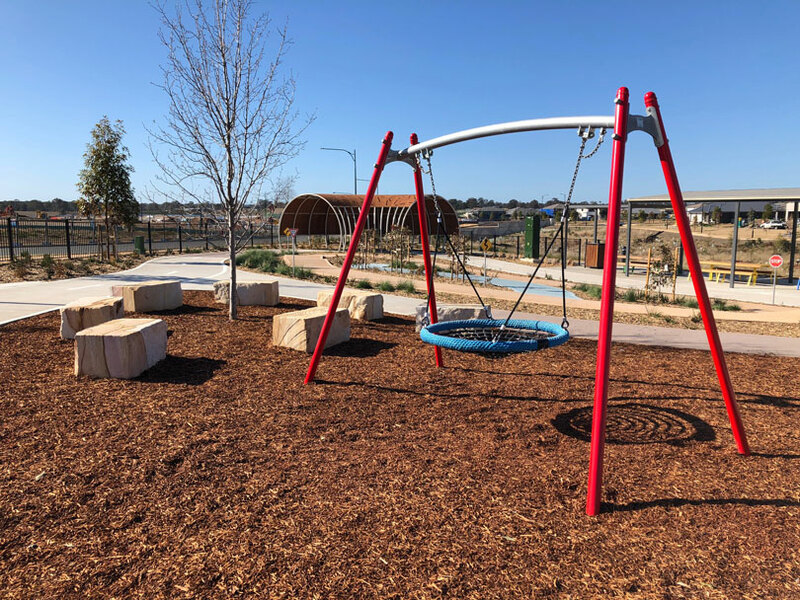 They’re also a little different to what we usually find at playgrounds which is nice to see, and there’s plenty of equipment to keep kids of all ages occupied. Here are the details. 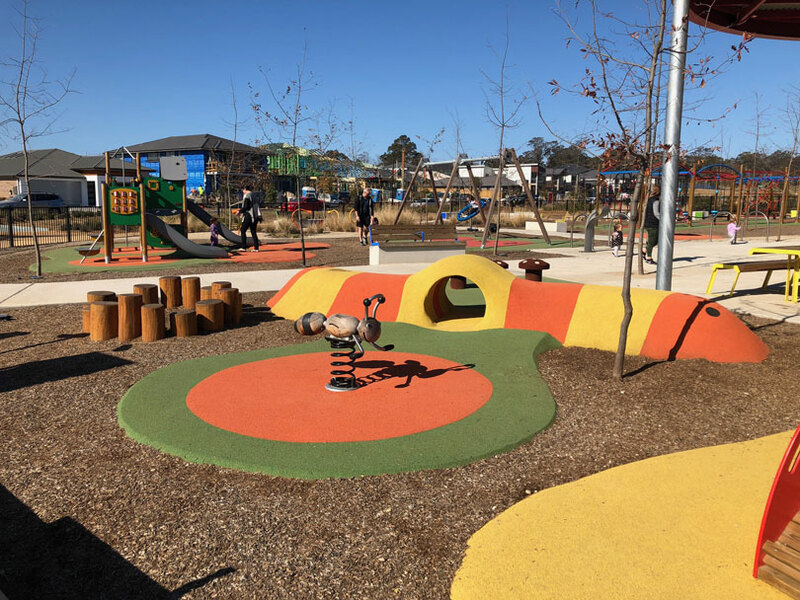 Slidey Park is the latest playground to open in The Gables, Box Hill. 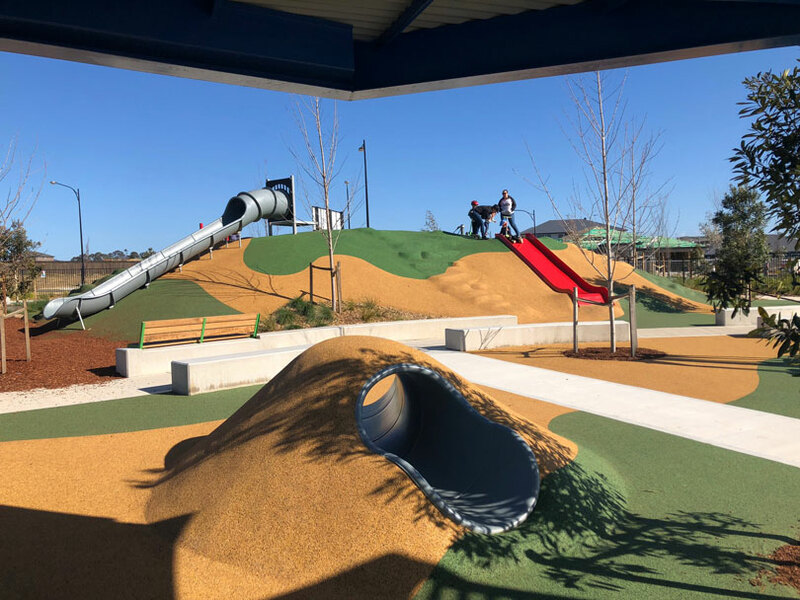 Located on the corner of Fontana Drive and Ironstone Parkway, it has hillside slides, an impressive climbing structure, merry-go-round and plenty of tables and chairs (both shaded and non shaded) for friends and families to gather. We can only assume that this one has been named Slidey Park as there are 4 slide options at this playground. We love a little playground humour! 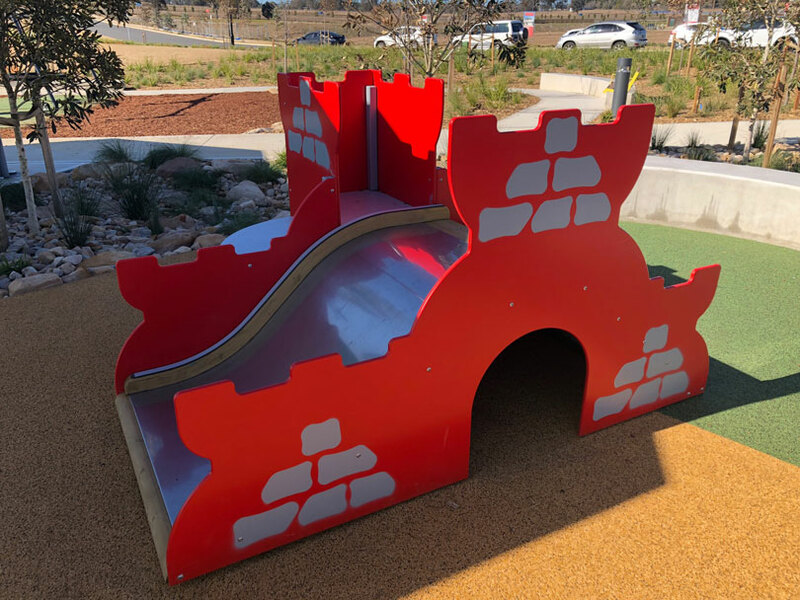 Three are located on a hillside that kids love to climb, plus there’s a smaller one for toddlers on the side of a little castle. In addition to the slides there’s an impressive climbing structure – make of it what you will! We have never seen anything like it! There’s also a merry-go-round with little horses (or are they dogs….or sheep??) and a climbing net on the other side of the hill. There are plenty of places to sit and have your snacks or lunch and there’s a swing set too. 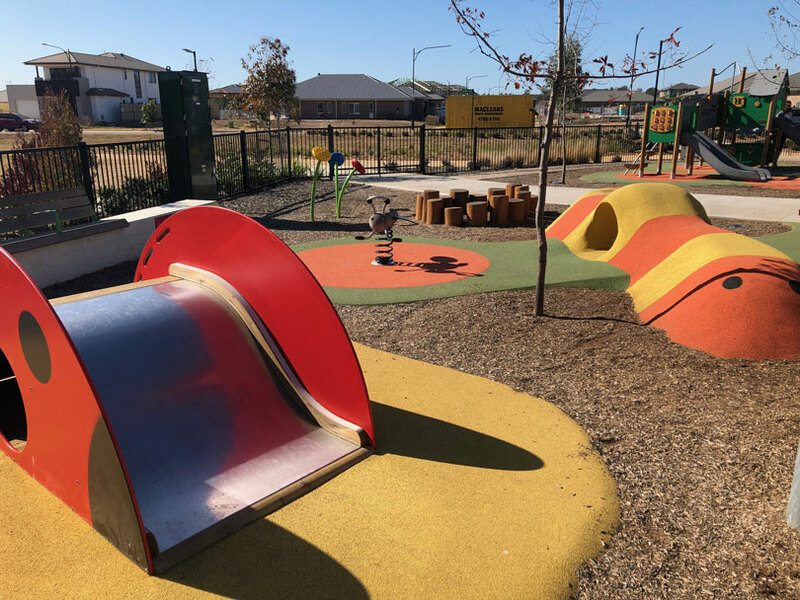 This playground is located across the road from where the new Town Centre will be built and there will also be a lake adjacent to the playground, so it will eventually be a vibrant and picturesque space. For more photos see our article on this great new playground here. 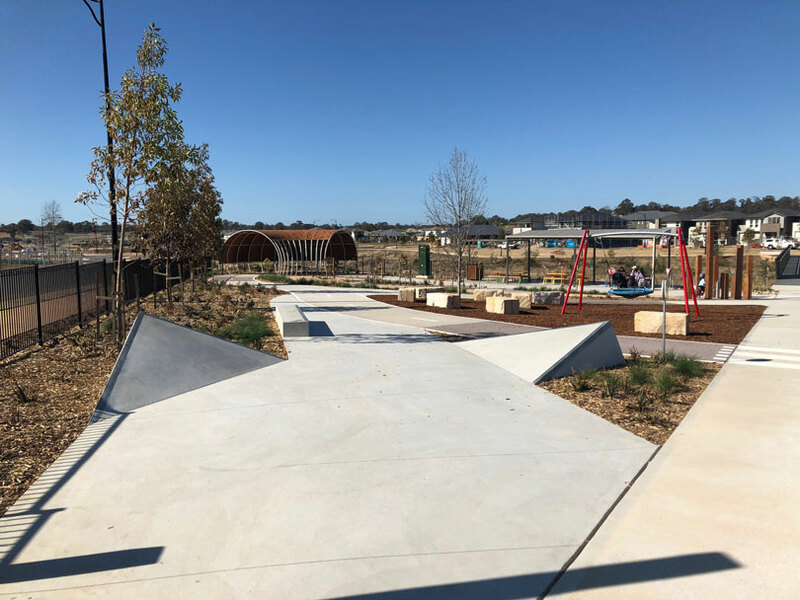 Wheelie Park, on Cataract Road, was the second playground to open and has been designed for two-wheel fun! 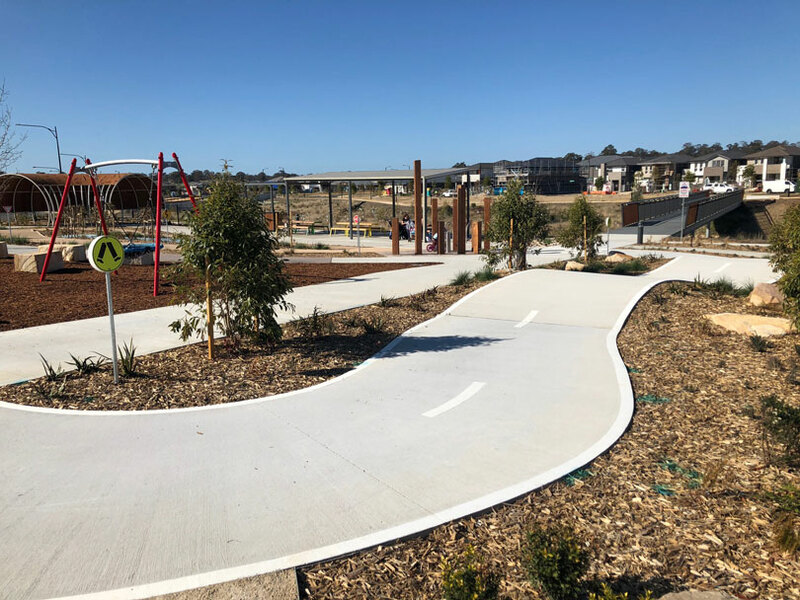 It includes a ‘learn to ride’ scooter and bike track, as well as a longer track for those more confident in their riding skills. While there’s a nest swing in the playground, this park is purely focused on two and three wheeled fun. The track is mainly flat which is great for learners but there are some little hills for kids who like a bit more action. It has a few mini road signs plus there’s a fully operational bike tyre pump – handy! There are shaded picnic tables for families. In future, connecting pathways will take cyclists from Wheelie Park through the lakeside corridor to the heart of The Gables Town Centre. The Orchard Park was the first playground to open in The Gables, Box Hill. 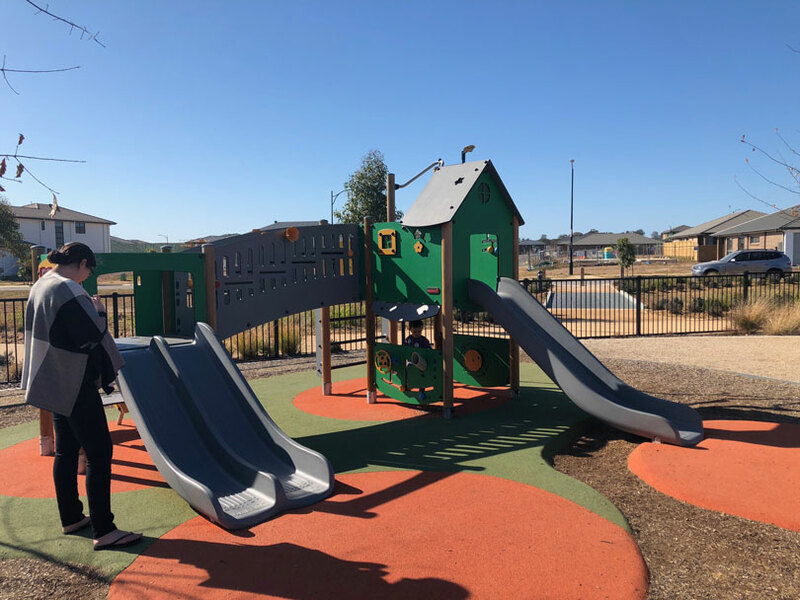 It’s a great little playground with plenty of equipment to keep both young kids and older ones entertained. There’s also plenty of space for kids to run and play next to the playground. 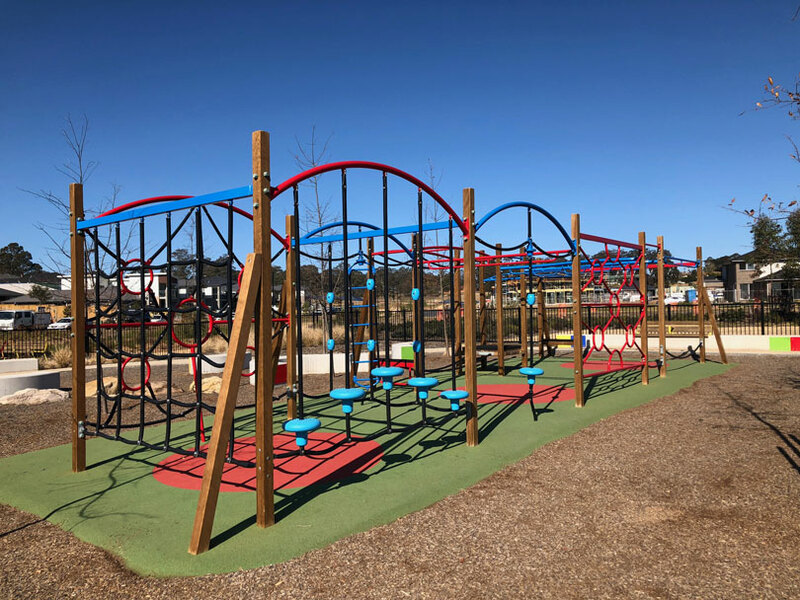 The play equipment for younger kids includes a fabulous little cubby house with multiple slides and a bridge, a swing set with a nest swing, baby swing and normal swing and then another insect area with a ride on, climbing logs, a little lady beetle slide and places to climb under and over. There’s also a cute round-about near the ‘ninja warrior’ course. The bigger kids’ area is great for budding ninjas, with plenty of ropes to climb and equipment to balance and hang from. If you set up a ninja warrior challenge this will keep your older kids busy for ages! Fit mums would also have a ball on this course! There’s also a ping pong table in the playground – all the rage in the playground space these days – you just need to bring your own rackets and balls. 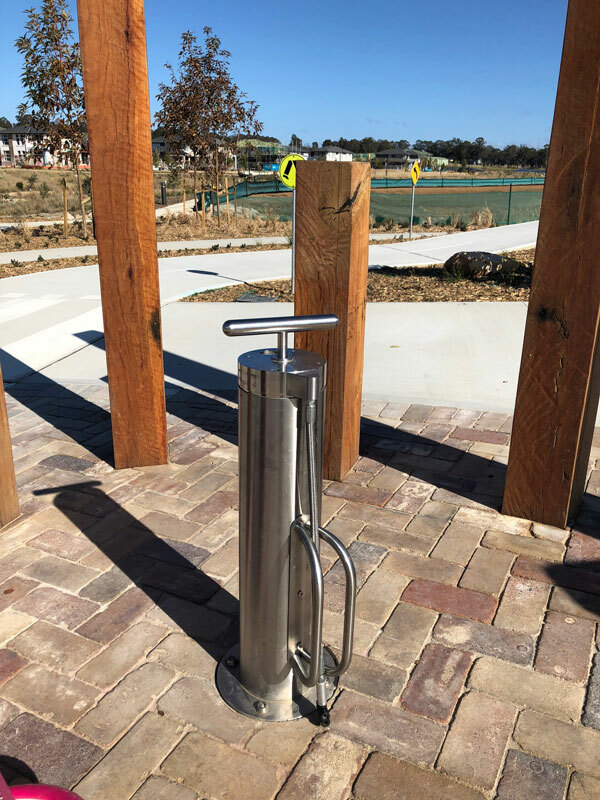 There are water bubblers, bike racks and plenty of seating surrounding the park. There are also shaded picnic tables for families to sit at. Some additional playground details: Limited shade over play areas until trees mature so it will be hot in summer. None of the playgrounds are fully fenced and there are no toilets. Unfortunately, until the town centre is built, there are no places to buy refreshments nearby but we’re loving the potential of the spaces and it’s exciting seeing these new areas develop.